Carpenters Mate is the UK’s original self-drilling wood screw supplier. We supply a collection of carbon steel screws engineered to perform for a range of timber to timber applications. Our carbon steel screws have been made from quality C1022, a high tensile carbon steel ideal for providing great strength as well as ductility properties. We also case harden all of our screws to allow for maximum ductility inside the screw whilst increasing the case strength for compatibility with a range of applications. In addition to our case hardening process, we also coat all our carbon steel screws using Geomet® 500 which is proven to withstand 2,000 hours in salt spray. You can filter these products here. Our carbon steel screws are guaranteed to work every time and last for the lifetime of your structural project. As they are self-drilling screws, you can expect less work and less equipment in comparison to using the traditional M10 coach bolt method and every pack comes with the appropriate drive tool, free of charge. Guaranteed for the life of the project - Every Carpenters Mate screws is built to last longer than the timber itself so we guarantee the screws will last for the length of your project. Cost-Effective - You’ll find that Carpenters Mate screws are very competitively priced. Each screw combines many quality features to ensure that every screw works exactly as it is designed to, every time. Great for a range of trades - Our screws have been used in a number of structural applications such as warm roofing, decking sub-bases and floors, structure and landscaping projects. With no need for washers, bolts, nuts, hammers or spanners, you can fix your timbers in record time! View our video below for a comparison. Pro Hex Head Screws: Our Pro Hex Head screws are made from carbon steel and are available in a range of lengths compatible with UK’s timber sizing. Specifically made for wood to wood applications, you can expect a durable, hard wearing screw. HD Hex Head Screws: Our HD Hex Head screws are suitable for heavy-duty projects such as laying flooring and decking, and loft conversions. These screws feature a wide washer head, increased strength and holding power. 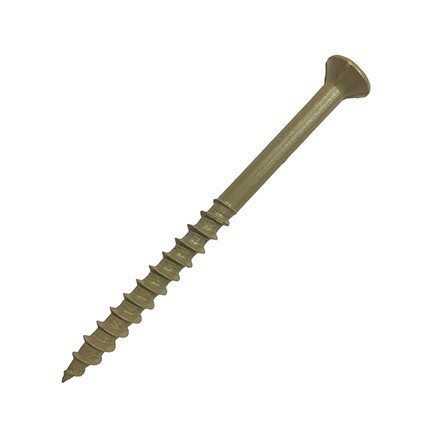 Flat Head Screws: Our Flat Head screws are appropriate for insulation and roofing applications. The flat head feature provides extra holding power against sheet materials. Exterior Wood Deck Screw: Our Exterior Wood Deck screws feature a self-countersinking square drive head for increased strength and holding power. They’re ideal for outdoor applications like wooden decking because of their strength and resistance to corrosion and weathering. Carpenters Mate is a well known, respected brand with quality, efficiency, safety and practicality at the heart of each product. Our range of high-quality, self-drilling timber screws are designed to offer the same strong (if not stronger) timber to timber connection as popular alternatives, but allow you to fix timbers in a fraction of the time. View our infographic here for more details: faster fasteners for the trade? Don’t just take our word for it, request a free sample of your chosen Carpenters Mate carbon steel screw to see how they perform for yourself. You can get your FREE sample by contacting us online through our contact form or get in touch via phone call on 0845 241 9862 to order your free sample. Stainless steel screws are better suited to saltwater areas where corrosion is high; if you’re looking for a screw that is well suited to structures within close proximity to the ocean, explore our stainless steel range. Have you downloaded our Calcumate app? Are you unsure of how many Carpenters Mate Pro Hex screws you need for a joint? Download CalcuMate today - it's 100% free. CalcuMate is our easy-to-use online loft conversion and multiple member spacing calculators that makes it incredibly easy to calculate exactly how many screws you need for each joint. If you’re interested in purchasing a single pack or bulk pack of our Carpenters Mate carbon steel screws, you can find a local distributor near you here. We regularly hold demonstration days at one of our 3,000 distributors across the UK so contact us to see when we’re next in your area.You can find a local distributor here. Not what you're looking for? 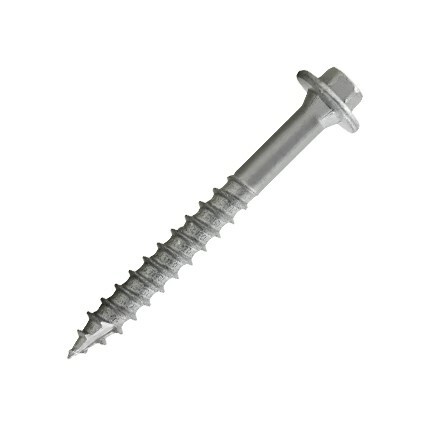 You can find our range of stainless steel screws here.